Ultra stylish and wonderfully practical, the Hel Cincher fastens via a zip at the back and is fully adjustable using the cord lacing at the back. 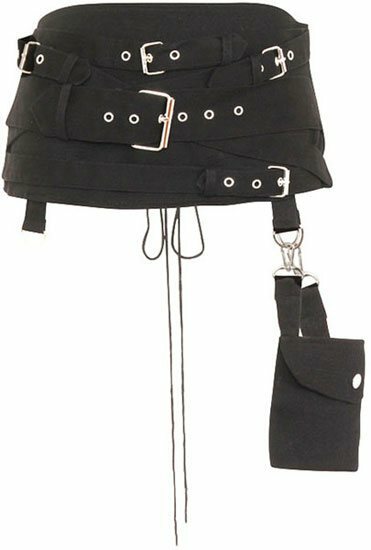 It has 5 decorative buckles and belt straps across the front. It comes complete with a removable pocket with button closure. The pocket can be worn on either side using the spring hooks, which can be hooked on to 2 of the 4 D-rings attached to the lower edge of the cincher. 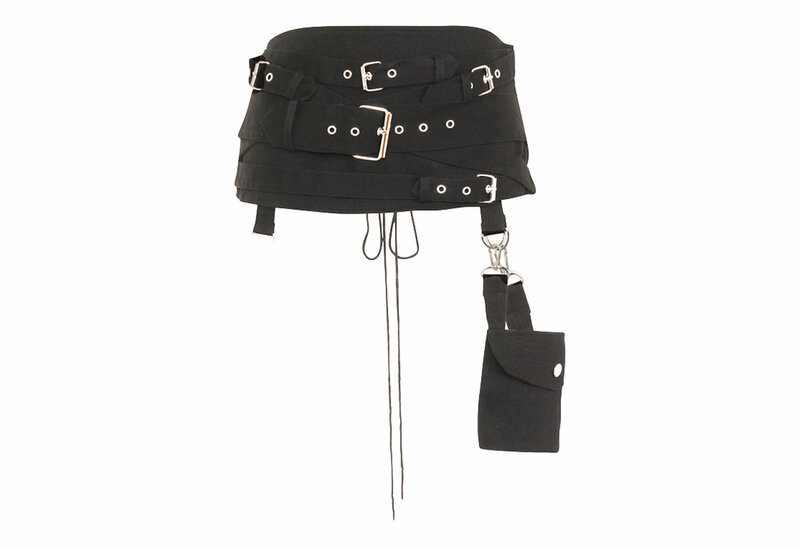 This excellent pocket belt is made out of black cotton twill with chrome colored accessories.